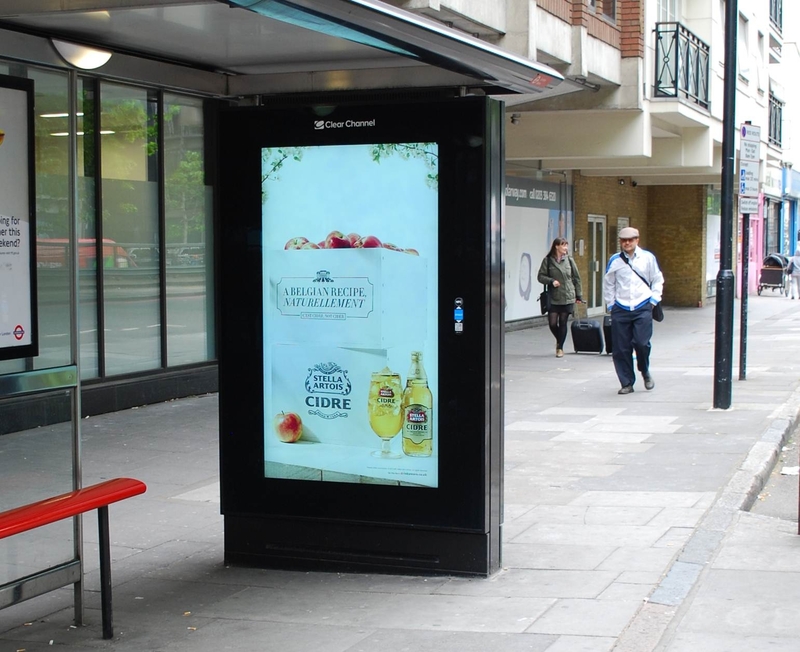 Stella Artois Cidre’s digital OOH campaign delivers real-time, thermo-activated ads based on the temperature in a specific location. The system automatically turns ad spots on and off based on the results of a real-time weather data plug-in. So, when the system registers a two-degree increase in temperature (above the national average), Stella Artois Cidre content will be displayed on digital screens in that specific location. The campaign, planned, booked and executed by Posterscope, Vizeum and LIVEPOSTER, includes a payment mechanic based on cost-per-minute exposure. To promote the new Galaxy S4 with its ‘smart pause’ technology ─which uses eye-tracking technology to track when someone looks away from the screen ─Samsung challenged commuters to a ‘stare down’ with the new mobile phone. Participants were invited to maintain eye content with the phone on a screen on a poster site for 60 seconds to win a free Galaxy S4, whilst various distractions were thrown in to entice them to look away. Posterscope worked with digital and design agencies Work Club and AllofUs to create the “Window of Intensity” for coffee brand Carte Noire Instinct. A shop window at Westfield Stratford was transformed into a unique sensory experience combining sound and real-time generative visual effects across a five-metre LCD video wall. Using a live HD video feed, motion-tracking technology and Microsoft Kinect, the public see their surroundings transformed through visual effects ranging from immersive colour trails to crystallising patterns triggered by motion and proximity. The closer the user is to the window the more intense the experience, emulating the intensity inside every tin of Carte Noire. To show the harmful effects of cocaine on a drug addict, Brazilian advertising agency Talent created ‘living’ poster ads that are consumed by live mealworms over time. Printed on dough, the ads show the faces of drug addicts which over time are eaten away by the grubs. The sites were placed in Gallery of Rock in Sao Paolo—an area notorious for cocaine dealing and consumption. The Rapper premièred his song in 66 different locations around the world, using super-size projections on the side of buildings. The public display was announced by Kanye on Twitter, including a prompt to visit his website where you could find out the various locations. IBM is committed to creating solutions that help cities all over the world get smarter, in order to make life in those cities better. To spread the word on the “People for Smarter Cities” project that they are working on with Ogilvy Paris, they created out-of-home advertising with a purpose; a bench, a shelter and a ramp. To warn women about the dangers of putting make-up on while driving, MINI Mexico installed an airbag within a soap dispenser in a women’s toilet in Mexico. The airbag exploded suddenly as women stood in front of the mirror to apply their make-up. The message on the airbag read “There’s a place for everything. Makeup or drive”.